Choose A Lantern To Reveal The Path Of Your Future! Just by choosing the lantern you are drawn to, you will light up the path ahead of you! 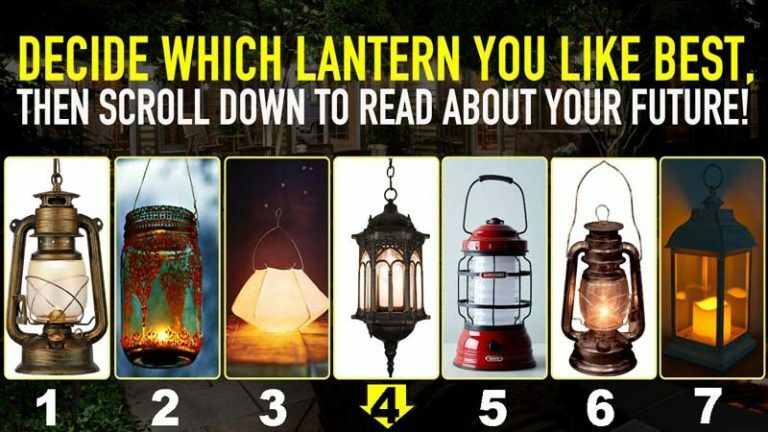 Decide which lantern you like best, then scroll down to read about your future! A somewhat unexpected chapter of your life is about to begin. Do not fear the surprise, though, because you will be greatly blessed during this time. It will take you places you never would have imagined. Not only will you learn a lot about yourself, you will also learn a lot about those around you. Isn’t it true that life often sends us exactly what we need before we even know that we need it? In your case, someone that has been a mere acquaintance will become a closer friend in the coming days. Be slow to judge and you will realize that you have a lot more in common than you expected! Congratulations on a job well done – your plans will soon prove to be well advised. Others may have doubted you along the way, but soon all will see your intelligence and strength. Keep believing in what your heart tells you and you always be on the right path. You may be considering a significant or small change right now. Trust the advice of those closest to you while always considering how your decision will affect others. For something to be truly best for you, it must also benefit those who you love the most. It may seem like the future is a bit foggy right now. If it’s full of mystery, do not fear! What awaits you is full of promise, light, and joy. Keep on doing the things you know to be right and you will get there in due time! The future ahead directly reflects the energy you have poured into your life thus far. Not everyone believes in karma, and that’s okay. But you will certainly reap what you have sown in the lives of others: love and joy! In this time, a new wave of energy and refreshment is going to flow through your spirit. The whole universe is working to spur you on towards your goals and you will certainly achieve them. Remember how far you have come already!